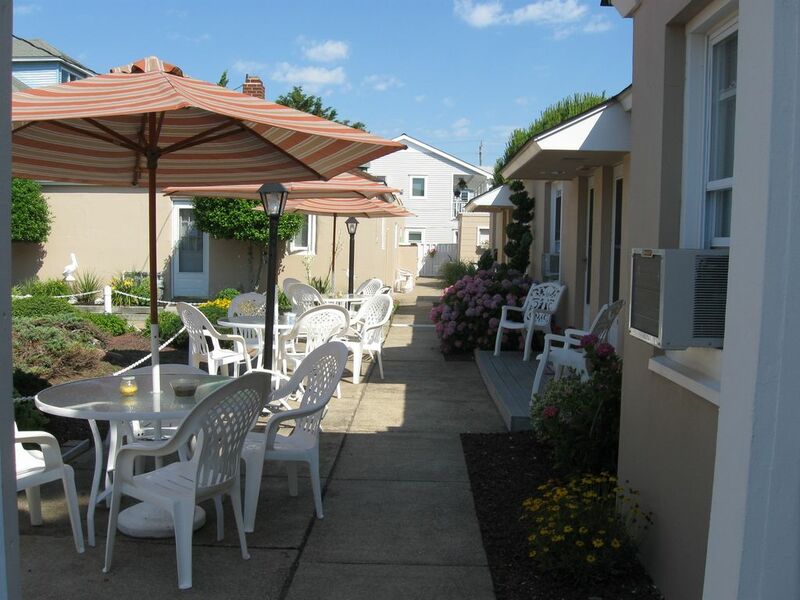 Condo is located 2 blocks from the beach in the residential section of Wildwood Crest. It is a corner unit with 2 bedrooms one with queen size bed and other with twin beds. It has air conditioning and ceiling fans, a full kitchen with microwave and all utensils, a full bath and a spacious living and dining area. Flat screen tv with dvd and vcr. Very clean and nicely decorated. There is a shared bar-b-que area and courtyard with umbrella tables and chairs. Everything was great but we could not get WiFi or play the DVD. We told the manager but he never came to help. His attitude was like too bad. I am sorry that you had trouble getting on WiFi or playing the DVD. On July 19th I sent you the information for WiFi the connection and the password. You had to use that information to connect to WiFi. I called our current renter today and she assured me that both the WiFi and DVD were working when she checked in on Saturday afternoon Aug. 4. She said she used the connection and password that I had sent to get on WiFi. Again, I am sorry that you had difficulty getting on. Enjoy the rest of the summer. Great place with just the right amount of space for our group! The place was clean, the beds comfortable and just the right amount of space. Not fancy, but very comfortable and nicely decorated for the beach. We had a small issue with the A/C units but the the owners were extremely responsive and exceeded our expectations on resolving it! They are very nice people! The property is well maintained. The extra bathhouse there was great too. Individual clothes line and a hose to rinse off was perfect. I would rent this place again for sure. Thank you so much for a great trip! We were pleasantly surprised by how nice this condo was. Very comfortable beds, air conditioning that works and a short walk to the beach. All at a very reasonable price! I only used my car do do the groceries and to go visit Cape May one day. By the way we found the prices were better at the Acme store in Wildwood as opposed to ShopRite. All in all we had a very nice time! Its a very nice place to stay. A very cute two bedroom close to the beach and boardwalk. We were very happy with our stay. It was nice that there were community grills and showers to wash the sand off after our beach days. Great vacation in the Crest. Very clean unit that is well equipped. Great location. Very quiet. I'd definitely return. We had a great week, the condo is located in a perfect spot.